Growth form: Shrub or tree. Flowering. Not known. Status: Introduced. Also recorded: Bahrain, E Saudi Arabia, UAE. 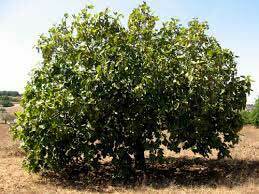 Habitat & distribution: One of the more widely planted fig species. It may occasionally escape into the wild. Uses: Grown for fruit and as an ornamental plant.